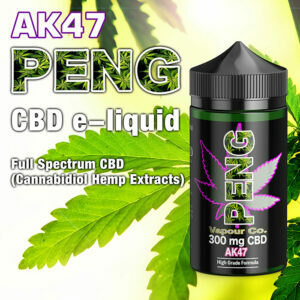 PENG CBD e-liquids contain Cannabidiol Hemp Extract and are available in various flavours. 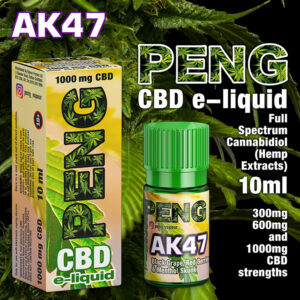 We have 3 CBD strengths 300mg per 10ml, 600mg per 10ml and 1000mg per 10ml. 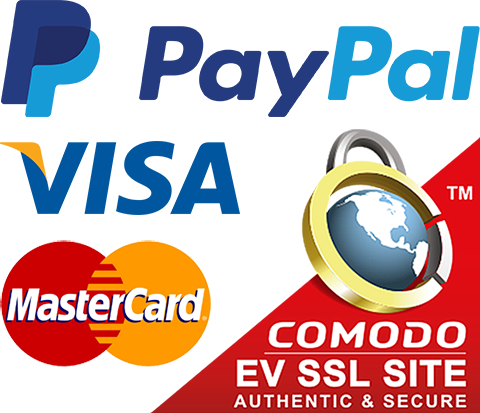 Available in 10ml, 30ml and 60ml bottles. 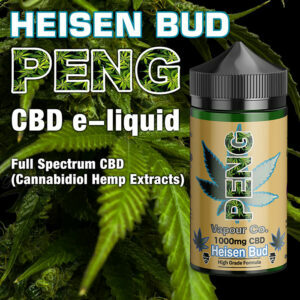 In VAPOUROUND’s 2018 awards PENG was awarded 2nd place for best CBD e-liquid. 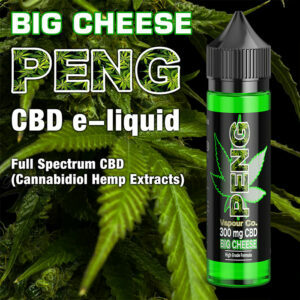 PENG CBD e-liquid ingredients: Full Spectrum CBD (Cannabidiol Hemp Extracts), Natural and Artificial Flavouring, Vegetable Glycerine (60%) and Propylene Glycol (40%). Zero nicotine. 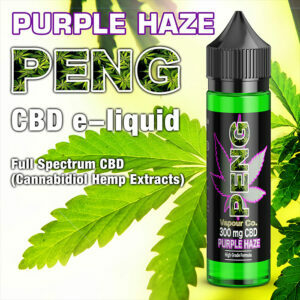 Flavours: Black Grape, Red Berries and Menthol Skunk. 3 strengths of CBD per 10ml: 300mg, 600mg and 1000mg. Flavours: Cheese Strain. 3 strengths of CBD per 10ml: 300mg, 600mg and 1000mg. Flavours: Fruity Menthol Skunk. 3 strengths of CBD per 10ml: 300mg, 600mg and 1000mg. Flavours: Blueberry Kush. 3 strengths of CBD per 10ml: 300mg, 600mg and 1000mg. Flavours: Grape Infused Haze. 3 strengths of CBD per 10ml: 300mg, 600mg and 1000mg. Flavours: Menthol Haze. 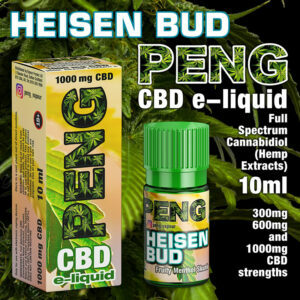 3 strengths of CBD per 10ml: 300mg, 600mg and 1000mg.